Choose to work with either frozen strawberries (about 2 1/2 cups) or strawberry purée (also about 2 1/2 cups). With the frozen strawberries you will need to thaw and then purée them smooth. Add sugar to the purée, about 2 teaspoons at a time, tasting after you have added them to get the desired sweetness. Then add lemon juice one tablespoon at a time to the strawberry mixture, tasting after each addition for the desired tartness. Finally add the simple syrup and place in the refrigerator to chill. 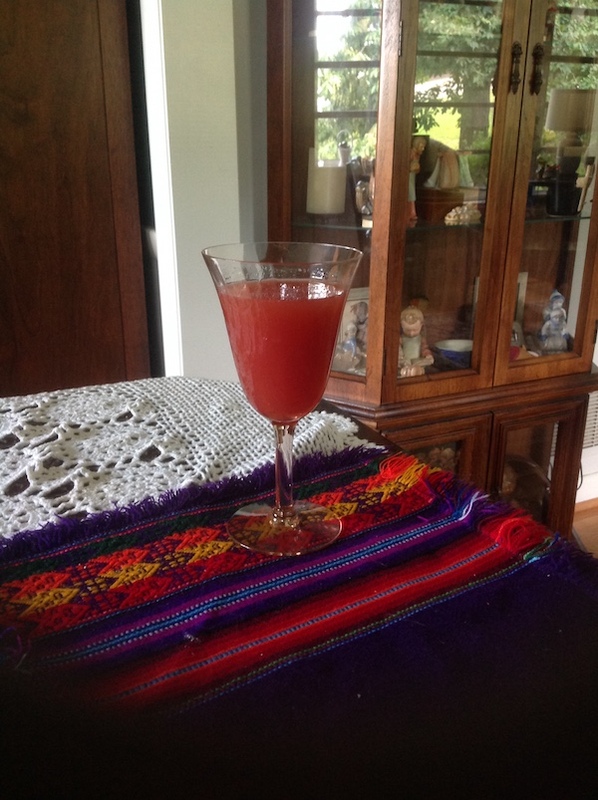 When ready to serve, fill chosen glass halfway with club soda, then top with strawberry mixture, stir to combine.